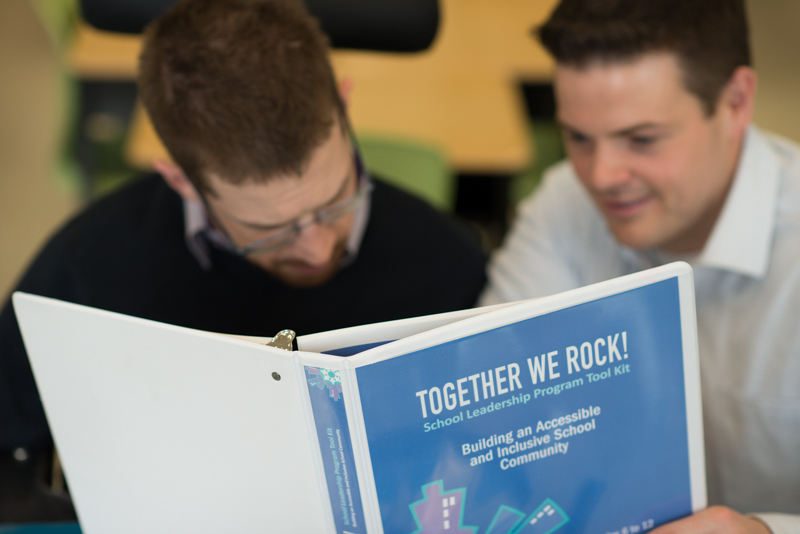 Schools & Educators — Together We Rock! Together We Rock! offers a variety of learning and leadership opportunities for elementary and secondary school students and educators/staff. Our learning activities, presentations and leadership programs are focused on how one person can make a difference. The We Rock! Elementary School Presentation is geared towards students in grades 3 to 8. Delivered by Together We Rock! founder John Draper through adaptive computer technology, this interactive 30-minute presentation aims to inspire students to build a school community that is accessible to and inclusive of everyone. Since students often have questions afterwards, our team is more than willing to continue the dialogue. We also include a Teacher’s Guide with optional preparatory and follow-up learning activities. The We Rock! Elementary School Presentation can be delivered by John in person or accessed via the web – the choice is yours! Simply send us an email or complete the online booking form for an in-person appearance or arrange for a web-based presentation through Our Store. Everyone communicates in different ways, and we want to teach that these differences are something to celebrate. This in-person learning activity is designed for small groups of younger students in grades 1 to 2, during which they’ll explore the concept of similarities and differences, and discuss the variety of ways we communicate. The interactive presentation has students using picture/word boards to communicate and learning about assistive communication technology, followed by an optional question and answer period. Once they’ve completed the 25-minute learning activity, each student will receive an “I Rock” sticker as a reward for their awesome efforts! The Together We Rock! presentation for secondary students is an in-person session designed for a group of any size, whether it’s a school assembly, classroom or smaller session with the school leadership or social justice team. The 35-minute presentation focuses on four key messages: believe in possibilities, celebrate everyone, make a difference and hum like a rock star! Following the presentation, students are challenged to make a difference by taking “one step,” then encouraged to share their step on the Together We Rock! website. Our ‘Creating an Accessible and Inclusive School Community’ presentation is designed for educators and school staff to promote an inclusive learning environment in their school. Through his signature witty humour and passion, Together We Rock! 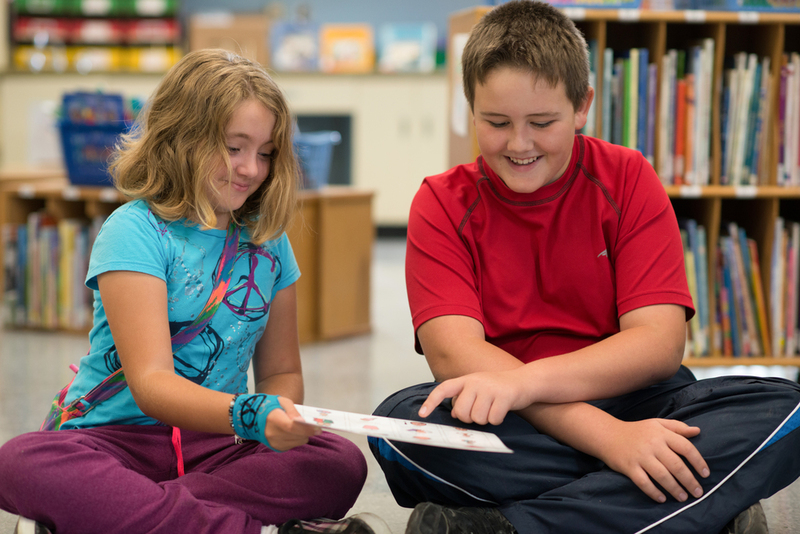 founder John Draper shares the lessons he’s learned in his inclusive education journey. His thought-provoking insights throughout this 45-mnute presentation aim to inspire audience members to renew their commitment to inclusive education and encourage others to do the same. as an undertaking of the entire school. To carry-out our School Leadership Program, teachers and students will use the Tool Kit available from Our Store, which offers up specific activities and actions to help students and the larger school community carry out the components of the Program.